How to join (Apply) Atal Pension Yojana? How to join Atal Pension Yojana? Atal Pension Yojana is a new scheme started by the current government to ensure that those working in unorganized sector enjoy the pension scheme by starting their savings immediately. Those who are eligible as per Atal Pension Yojana can get a pension of Rs one thousand to five thousand after 60 years of age. 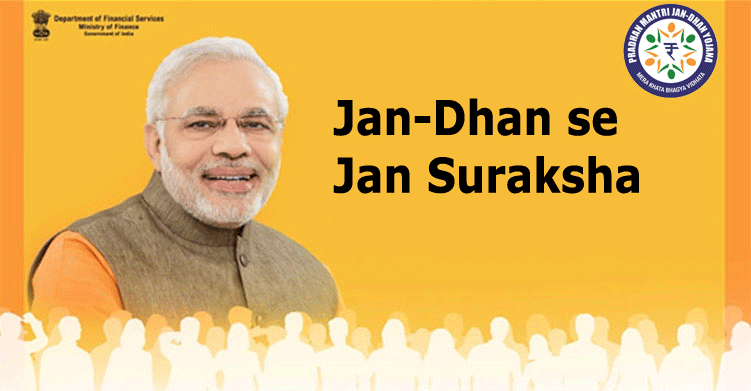 There is no restriction on who can join the Atal Pension Yojana. Anyone who is within the age of 18 to 40 years is free to join the scheme. Those who intend to join should have a saving bank account. For those who do not have a saving bank account can open the same in any of the nationalized banks under Jan Dhan Yojana and they would not have to pay anything to open the account. The form would ask for your mobile number and your Aadhar number. Every subscriber should keep the minimum balance ready in their account so that on the day of auto-debit the account should have that amount. If you want to enroll for Atal Pension Yojana, Aadhar card is a mandatory KYC document. If you don’t have an Aadhar Card, you can apply for it through the special camps running for creation of Aadhar cards. The mode of contribution of APY is only through electronic auto-debit facility. This means that every month the fixed contribution would be deducted from the saving account that is linked to the scheme. If a subscriber fails to maintain the minimum essential balance in their Jan Dhan Account, he/she would have to pay a prescribed fine. If this happens over a period of time, the account may also get suspended or terminated altogether. Atal Pension Scheme is for everyone. But It specifically targets the weaker income group of the society and people who are working as laborers in unorganized sectors of the economy. This way, they can contribute a small amount every month and secure their old age. APY is not suitable for those who have decent incomes, since the pension payouts may not be sufficient to meet their needs in old age. I don’t have adhar card can I join APY NOW. My quarry was my age is 30 years 9 months. Sir, My age is 36 and monthly contribution I am paying Rs 990/-per month. If I am not alive in this world before 60 yrs of my age what will happen to this APY,who all r will be benefited. Can my nominee gets lumps some amount after my death. Is there any lumpsum amount would be paid by govt at attaining the age of 60 under this scheme. main june me apy ka registration karwaya tha. june me mera pahla premium jama hua, uske bad july ka premium nahi kata.jabki mere account me par apt balance tha.aisa kyo…………. please contact your bank for this issue. Hello, how to check my conformation on APY? you should get a PRAN number after you are successfully enrolled. Yes, I have but there is no money deduct from my account and I have been enrolled 6th July 2015 and no message come from organization and my birth date is 17th August 1990. I jst wanted to know that for how many times we can apply for this scheme. means can i apply for various premiums under my name only? you can apply apy only once. I have submitted the application on 04th june in the NAUPADA branch of SBI in THANE–MAHARASHTRA but still application has not processed by SBI. my account is yet to get debited for the premium amount.i am yet to receive the feedback from SBI ON same. pl guide me in this regard. I have joined the APY on 21 Aug 2015 and the amount got debited from my account on 22 Aug 2015. When will I get my PRAN account number Please guide me in this regard. you will have to get in touch with your bank for this information. Respected Sir I have got the APY Acknowledgement Slip for Registration on 25.08.2015. May I please request You to give me the guidelines to fulfill / complete all the related formalities / legal formalities as per the requirement. Where to contact in future if any emergency service needed due to my banker’s failure to give me the proper services related to APY? How could I get my APY status information i.e. total number of installment of my contribution, the total accumulated fund in Rs….. etc.? What is the last date to take the APY? Is there any particular office address in Kolkata related to APY? 1. I work for a software company and have a PF account. I’m a regular tax payer. I heard from some source that APY is not applicable for those who have a PF account and tax payers. Is that true? 2. I have an account with Axis Bank, Bangalore and my aadhar card is enrolled with it. Will I be able to enroll for APY from Axis Bank? I did enroll for PM Suraksha Bima Yojana from Axis but do not see any options to enroll for APY. Pls provide a list of banks where I can open a new account and enroll for this scheme. 2) yes you can, ask your axis bank and they will enroll apy for you. my age is 31 years plz let me know how much i have to pay monthly emi for pension plan. My age is 33 years could you please let me know how much will be the monthly emi for atal pension yojana. 1) Hope i am eligible for APY (being a tax payer). 2) Also, will i get some policy/hardcopy for the policy or some acknowledgment that i am enroled. If yes, than how. Where to contact in future if any emergency service needed due to my banker’s failure to give me the proper services related to APY? How could I get my APY status information i.e. total number of installment of my contribution, the total accumulated fund in Rs….. etc.? What is the last date to take the APY? Is there any particular regional office address in Pune related to APY? please request your bank to deduct the amount. There might be a small penalty on it. my age is 36 years plz let me know how much i have to pay monthly emi for pension plan. Hi I’m from Tamil nadu, ariyalur district I got SBI saving account I want join to APY with ariyalur SBI but they say no more forms.. So can I join online with ariyalur district SBI..?